Fits 2007-2010 JK Wrangler Unlimited and Rubicon Unlimited. 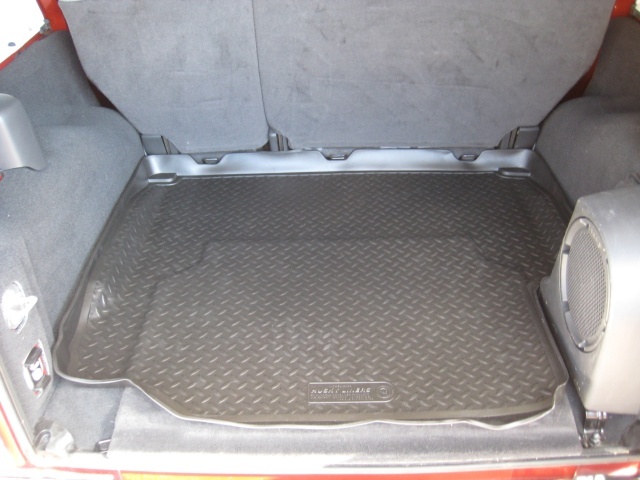 Cargo liner for 4-Door Wrangler models. Liner has trim area that accommodates the optional factory subwoofer mounted in the cargo area.